Truck Covers USA | Truck Covers USA New Product Announcement 2016 Model Roll Covers Now Available! 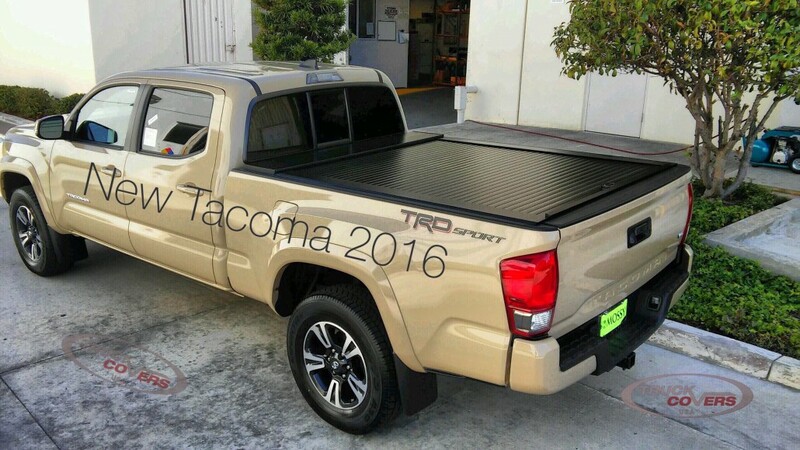 TRUCK COVERS USA, manufacturer of America’s Finest Truck Covers, Toolboxes & Racks, announces the availability of our American Roll Cover, American Work Cover and American Work Cover Jr. for the new 2016 Toyota Tacoma, as well as the new 2016 Dodge Ram, 2016 Ford Superduty and F150 models. Built in the USA, Truck Covers USA continues to revolutionize the roll cover industry with unique, versatile and dynamic product design, development and production. The Finest Roll Covers & Accessories on Earth!